As a modern marketer it is vital to stay on top of current trends and brush up on forgotten or underutilized skills. In my last blog post I was asked by several folks what books I am currently reading and what books I recommend to become a better writer. As I mentioned, becoming a better writer starts with the basics, but you also need some inspiration and ideas along the way. I am constantly looking for new books to read and older classics I may have missed, so here’s a snapshot of the essential books that I believe every marketer should have in their reading arsenal. 1. 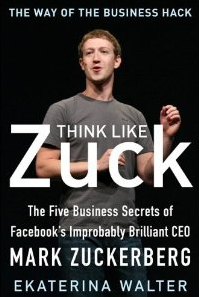 Think Like Zuck – Ekaterina Walter – Ekaterina provides a fascinating look into the world of Facebook and Mark Zuckerberg, but the book as a whole is so much more than just that. She draws upon the five key principles that are essential to the massive success of Facebook, weaving inspiring real world examples throughout. Several leading companies are showcased that excel at implementing these principles and Ekaterina does a stellar job at telling their stories. There are lessons for anyone and everyone involved in any aspect of business. 2. Amazing Things Will Happen – CC Chapman – A truly inspiring book by one of my favorite content creators. It’s not a marketing book per se, but it is a book that as a marketer you should absolutely read. These days a modern marketer not only needs technical expertise, but they also need inspiration and a happy work-life balance. That’s exactly what CC brings to the table: a swift kick in the pants and a great reminder that initiative is the first step to doing something amazing. 3. The Impact Equation – Chris Brogan & Julien Smith – I think this book is a bit ahead of it’s time, and is a primer for the immense challenges that will face content creators this year. If 2012 was the year that marketers discovered the power of content marketing, 2013 is the year in which marketers must learn how to create content that stands out. Chris Brogan teaches us that patience and lots of trial and error are often necessary steps for building something worthwhile in order to have a measurable impact. It’s an incredibly insightful book that presents a formula for generating great ideas that have the best chance of succeeding. 4. 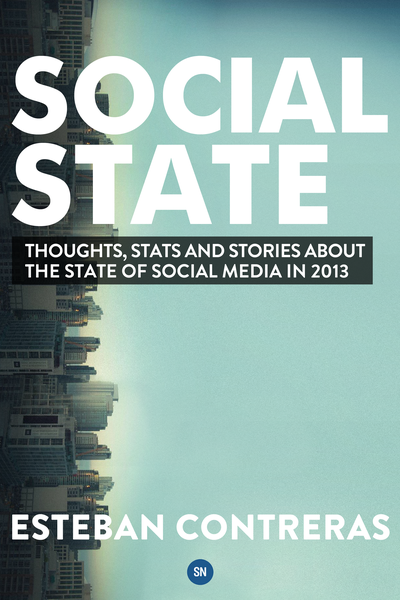 Social State:Thoughts, Stats and Stories about the State of Social Media in 2013 – Esteban Contreras – A fascinating review of the current state of social media marketing and what’s to come in 2013 from founder of SocialNerdia. This is the guide that every social strategist and practitioner needs to read in order to catch up on this extremely fast paced movement while stopping to think about what it all means to be so closely connected. 5. The Rebel’s Guide to Email Marketing – Jason Falls – DJ Waldow – I recently wrote a blog post about the importance of being a good writer in order to produce great content, and the same can be said about email marketing. Getting great results requires a solid understanding of every aspect that makes up a successful email marketing campaign. Jason Falls and DJ Waldow deliver a crash course for the newbie and a fantastic refresher with some very clever ideas for the practitioner. 6. The Kings English – Kingsley Amis – English novelist, poet, critic, and teacher, Kingsley Amis provides an authoritative and witty guide to the use and abuse of the English language. Amis distinguishes two types of people based on their attitudes and usage: berks & wankers. Berks are careless, wankers are prissy and he suggests walking a middle path between the two. If Spinal Tap were to write a style guide, it would probably be very similar to this book. 7. 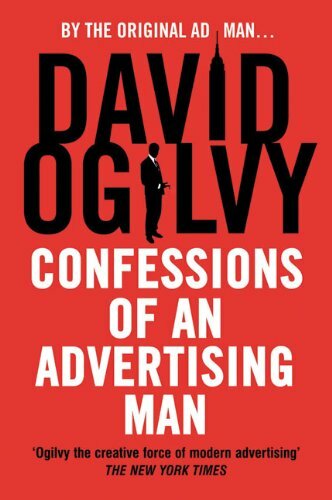 Confessions of an Advertising Man – David Ogilvy – Brian Eisenberg turned me onto this book a few years ago during his presentation at the Conversion Conference. The fact that the principles of this book are still so very relevant to today’s marketer is simply amazing. The world’s greatest ad man provides eternal wisdom for all marketers. This could be my all time favorite business book. 9. Fascinate: Your 7 Triggers to Persuasion and Captivation – Sally Hoggshead – This is one of those books that I happened to stumble upon while searching Audible. I absolutely love the approach the author takes. She provides, for lack of better terms, fascinating insight into how the mind works and how marketers can spark reactions within people. I recommend the audio version of this, it makes your commute to work much more pleasant while filling your head with a new way to view everyday interactions. 10. What the Most Successful People do Before Breakfast – Laura Vanderkam – The best and most useful 32 pages you are likely to read in 2013. Short and to the point with actionable tips on how to have a much better and highly productive morning. It’s been know to turn night owls into early risers. Content Rules – Ann Handley & CC Chapman – The book that started a content marketing revolution. Buy it, read it once, read it twice, then make a home for it on your desk as the go to resource for top notch content marketing. The Elements of Style – William Strunk Jr. and E.B. White – The only book on the planet that can make you a better writer within minutes. Carry this in your back pocket and memorize it. The Signal and the Noise: Why So Many Predictions Fail — but Some Don’t – Nate Silver – Recommended by B2B revenue strategist Maureen Blandford. Maureen and I tend to have very colorful debates both online and off, but I truly respect her opinion and look forward to reading this one. Makeup to Breakup – Peter Criss – Brought to my attention by Joe Chernov during a discussion around how pompous Gene Simmons is. Plus it helps me keep my rock n roll “edge” in the world of B2B marketing.